Home | Vinyl Siding Cost | What Do Your Vinyl Siding Prices Include? Most people enjoy good surprises, but very few like surprises that can cost them money. Now that you've decided to have vinyl siding installed on your home and picked three contractors to provide you with estimates, it's time to decide exactly what should be on those estimates so you can do an accurate comparison between your vinyl siding prices. 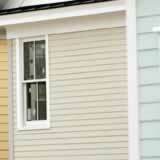 What Should Contractors Include in Your Vinyl Siding Prices? One of the best ways to get your lowest vinyl siding price is to make sure everyone estimating the project is pricing the same scope of work--it should be spelled out in their written estimates. You don't want to choose a siding contractor because they have the lowest price and then find out their estimate was for a lower grade vinyl siding or they didn't include cleaning up after the project is complete. Siding: If you've decided on an Alcoa siding of a particular style and color, you want to see each contractor's estimate listing that Alcoa siding style and color along with the number of squares of siding your home should take. If one contractor's quantity is vastly different from the other two, it's likely someone made a mistake. Trim: All trim to be covered or replaced should be listed; this should include items such as window and door trim, soffits and fascia, and gutters and downspouts. Debris: Is your existing siding being removed? Who is responsible for disposing of it and who is cleaning up after the project is finished? Getting as much information as possible on your written estimates is a good way to compare "apples to apples" so you don't have any unpleasant surprises halfway through the job.